I have a list of projects to work on this summer. 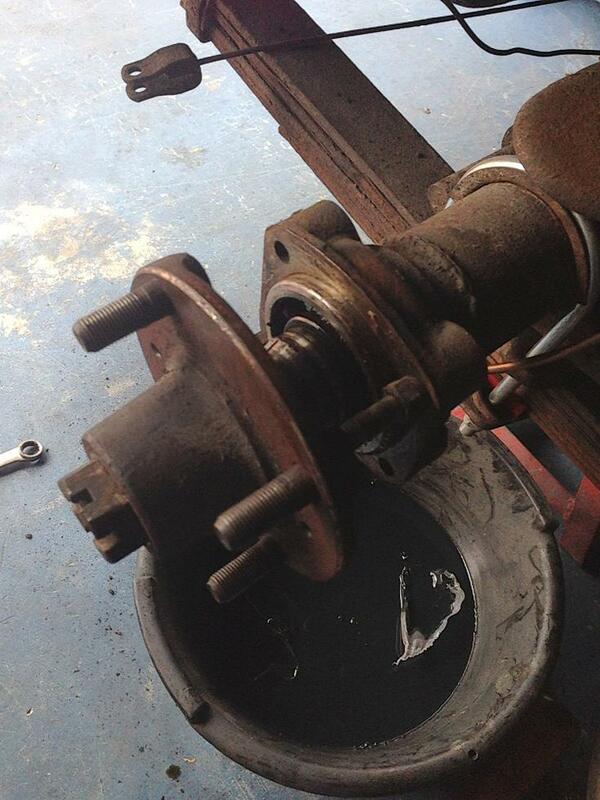 One is to replace the thrust washers and shims in the differential to stop the famous MG "thunk". I had already purchased all of the parts, and researched the procedure, so this should have been straightforward. Disassembly went as planned. 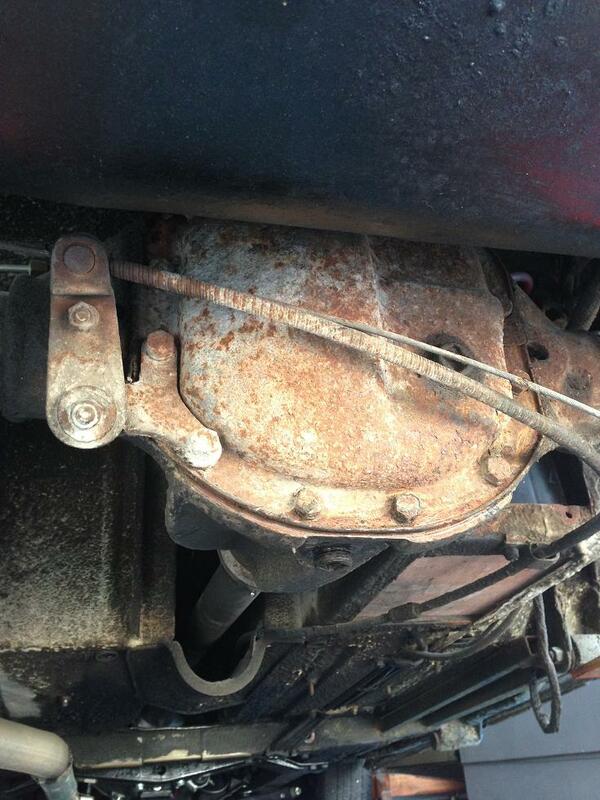 The wheel and rear drum brakes came apart easily, the axle shaft and bearing were drawn out using the attachment bolts as spacers and the axle bolt and hub itself to draw out the axle and bearing. The diff cover came off and with little drama, the gears were removed. One thrust washer looked perfect, the other was missing and pieces were in the bottom of the diff. The two brass thrust washers were there but both were worn thin. Unfortunately, the new brass washers that I purchased were lost. I ordered new ones, but can't do anything until I get those. 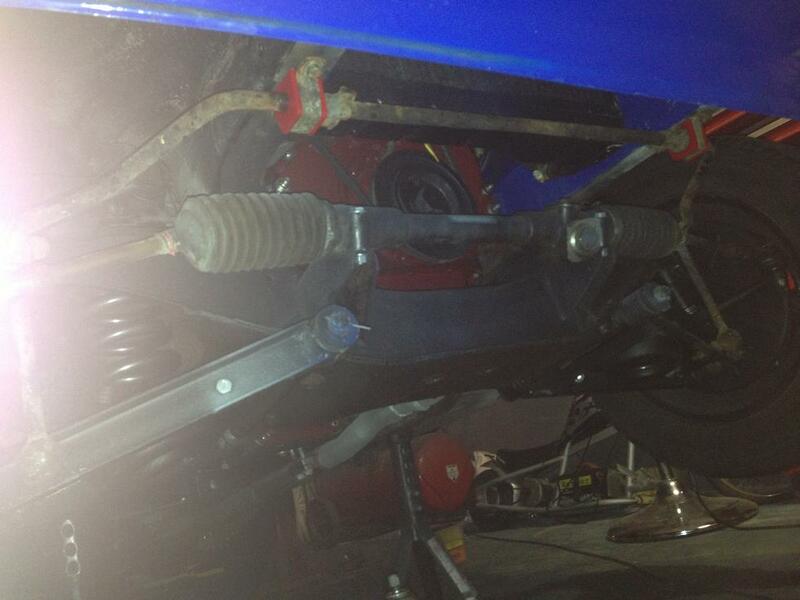 Since the car was up in the air, I decided to install the sway bar. I purchased urethane bushings to replace the electrical tape ones that were on the donor car. 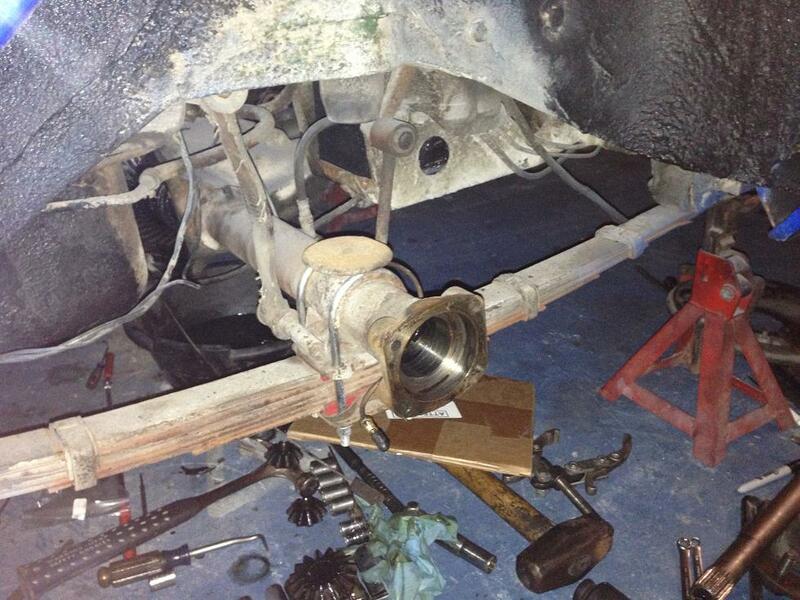 The A arms needed 1/2 inch holes drilled to mount the sway bar to the A arms. Since earlier and later cars all had sway bars, the reinforcement was already built into the spring tray, so only drilling was required. 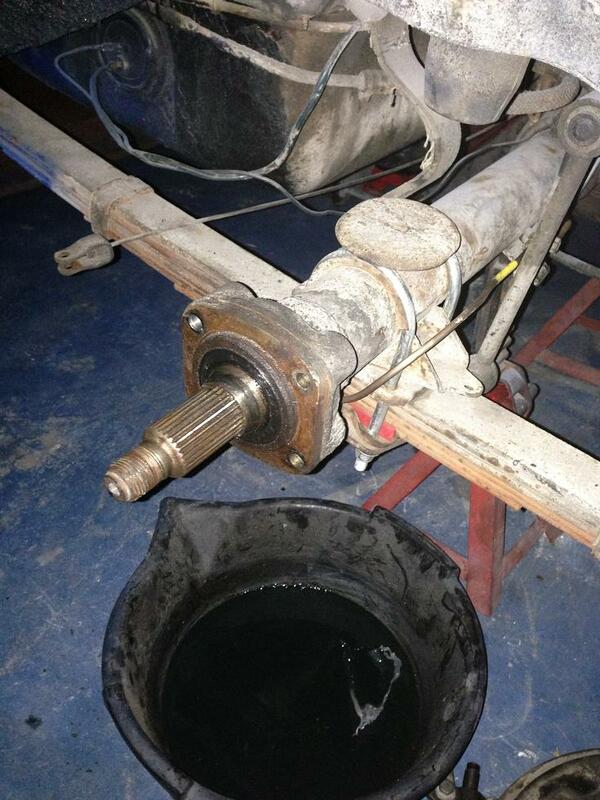 The bolts were cleaned up and pushed through the holes, but BOTH sides got stuck and the stud began spinning in the hole. Another project not done. 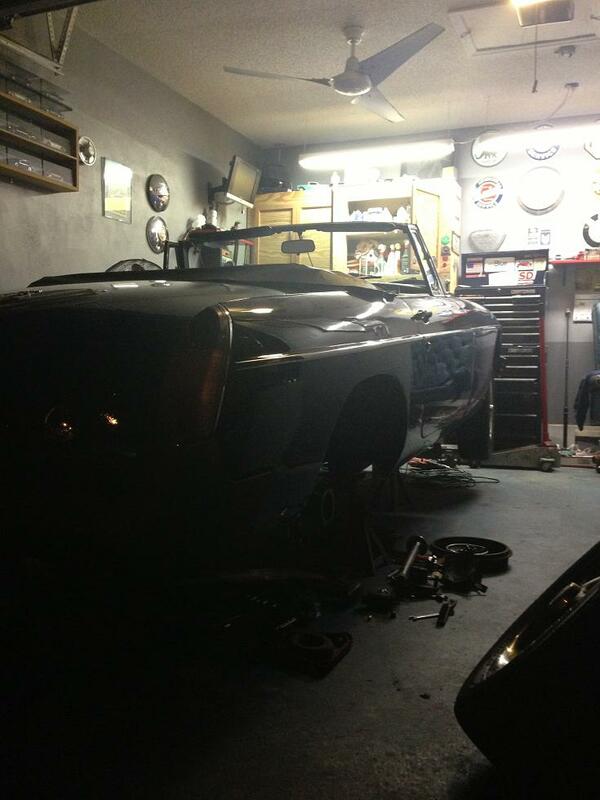 While the car is up in the air, I will tackle the oil pan gasket. For now, I'm going to wait until I have the sway bar and differential completed before I attempt that job. Front brake discs and pads will be done as well while the car is in the air.